Best quality of Ratchet Lever Hoists is offered by us to customers. 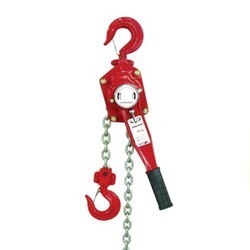 The offered Ratchet Lever Hoists are extensively used for lifting, pulling and lashing of loads, in any position as long as it is rigged to pull and in many other suitable applications. These products are of world class quality and easy to use. We are providing original Ratchet Lever for all Panasonic feeder with best price . 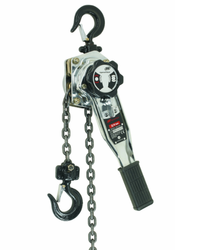 We make a vast range of Ratchet Lever Hoist that is lightweight, portable and compact. Our range of hoist finds application in various industries such as chemical, oil and fertilizer industry. We make this hoist by inculcating latest technology and supreme grade metal in sync with the industrial standards. We are engaged in the manufacture of an extensive range of ratchet lever hoists. Bought from our trustworthy vendor and built from high class raw material, as per latest technology, our ratchet lever hoists are highly sought after by our clients due to its easiness to operate, accuracy, reliability, deterioration resistance etc.